Life Connection Center relies heavily on volunteers to operate a successful healthy meal program.. Thank you to the current volunteers that dedicate their afternoons to cooking, cleaning, organizing and encouraging our center guests. We could not do this without you. 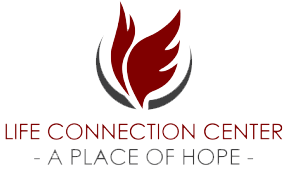 If you or a group you are a part of would like to volunteer at Life Connection Center, we would love to have you. Opportunities available include greeting, serving, checking in guests and public relations. Whether you are a school, college or community group, all are welcome to help further our mission. Please click to visit our volunteer application page to start the conversation about volunteering!